In the ethnically-diverse dining destination of Middletown, Connecticut, a restaurant must be truly remarkable to be successful. Over the past eight years, Illiano’s has quickly become a family favorite both for dining in and take-out. After working under Paul Illiano and Roberto Schiano in a two year apprenticeship on the shoreline, Vinnie Scileppi and partners opened Illiano’s on South Main Street in Middletown in March of 2001. Have you been to Illiano’s lately? If not, you’re in for a pleasant surprise. The family friendly restaurant and pizzeria was remodeled in early 2009 with a refreshing new atmosphere. Illiano’s has ample parking, and now offers dining al fresco! Over 300 patrons gather at Illiano’s every day for fresh ingredients, generous portions, and first-rate service at affordable prices. All are greeted with a smile and a “snack,” something that sets Illiano’s apart from other restaurants. 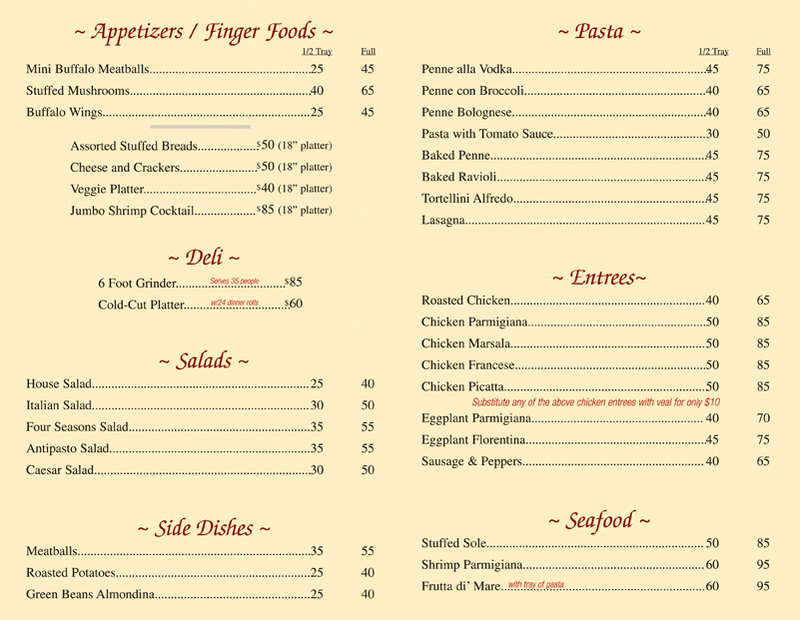 The mouth-watering menu includes all of your Italian favorites with a New York flair, along with some unique specialty items, such as the buffalo chicken pizza and the lobster ravioli. The eggplant Florentine is a must, and try the linguini with white clam sauce! At Illiano’s, you’ll be treated like family. Stop by for a free “snack” and see why Illiano’s was named “Best Pizza in Middletown” in 2009 by Better Connecticut!